We are Eric and Marloes, both from The Netherlands and happily together on Bonaire and we will make sure you'll enjoy a vacation you will never forget! On request, you can enjoy a delicious American breakfast with fresh breads, eggs and juices every morning. Its even possible to arrange a BBQ or any other personal wishes you have, we can do (almost) everything to make this vacation unforgettable for you! Between the house and the apartments is the swimming pool in a beautifully landscaped garden with palm trees and bougainvillea. 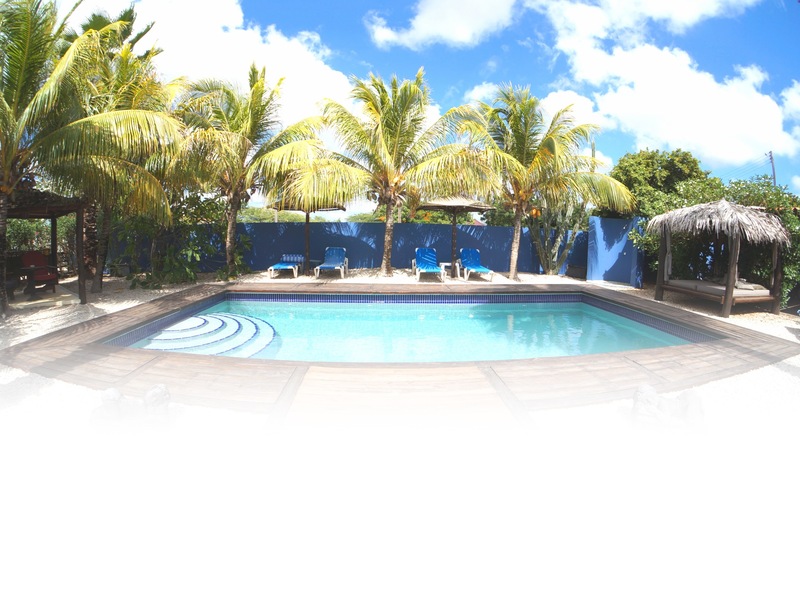 The pool is surrounded by a terrace with deck chairs and lounge beds. In the garden is a convenient outdoor shower. A refreshing dip to begin the day, chilling late in the afternoon by the pool or the romance of a beautiful and absolutely unforgettable sunset while enjoying a glass of beer or rosé: It is all part of the daily life in the Chillout. 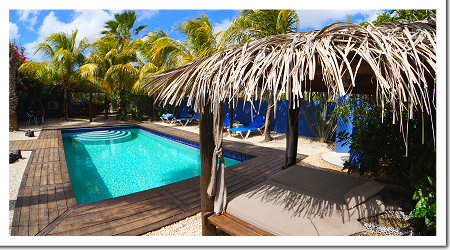 Bonaire (in Papiamento: Boneiru) is a beautiful tropical island in the Caribbean and part of the Dutch Caribbean. It is located in the southern part of the Caribbean Sea, off the coast of Venezuela. 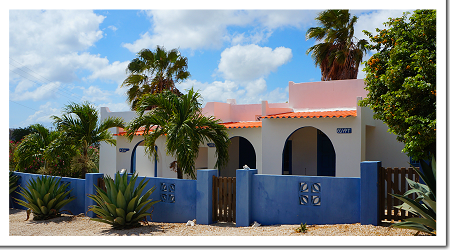 The capital of Bonaire is Kralendijk, a name that derived of the words Corals and Dyke. The other settlement in the northern hills, Rincon is the oldest settlement. Rincon is Spanish for "corner". 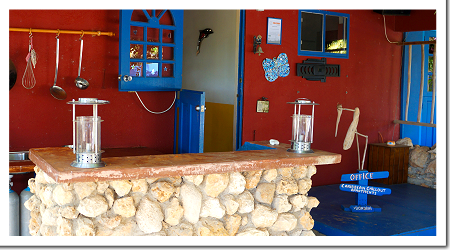 If you would like to read more about the history, culture and nature of Bonaire, take a look at Stinapa's website. And if you would like to know more about things you can do at Bonaire, diving places or places to visit on Bonaire and all kind of excursions or activities don't hesitate to ask us, we'll tell you anything you want to know about Bonaire with pleasure!.